I received both of these polishes within a couple days of each other and knew that they would be a great match. Either could be worn separately but if i want to get some of my untrieds taken care of then I need to wear more than one polish at a time to make a dent. January 2016 is the first polish in Jess’s polish of the month collection she is offering. 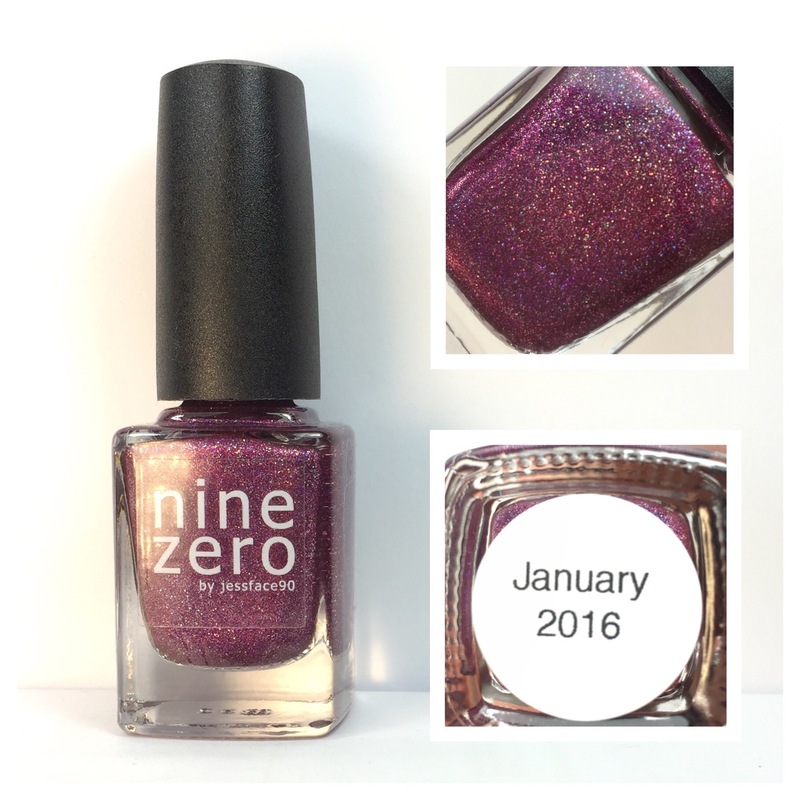 I’m so glad that I looked at Nine Zero Lacquers IG account because I would have probably missed out on this polish. My polish gods worked with me that day. 🙂 January looks like Concord and Candy Apple had a perfect little polish baby. It has a great balance of pink and purple that it could be matched with either. I used two coats to make this polish opaque. It has a texture too it and could still be felt after the Glisten & Glow HK Girl top coat was used. Overall though this is a great formula. It took three thin coats and I could still see the nail line in places. Its not unbearable by any means and still a really great polish in my opinion. I will be keeping this one. Good formula even if it was a bit thin and did not pool or pull when applied.